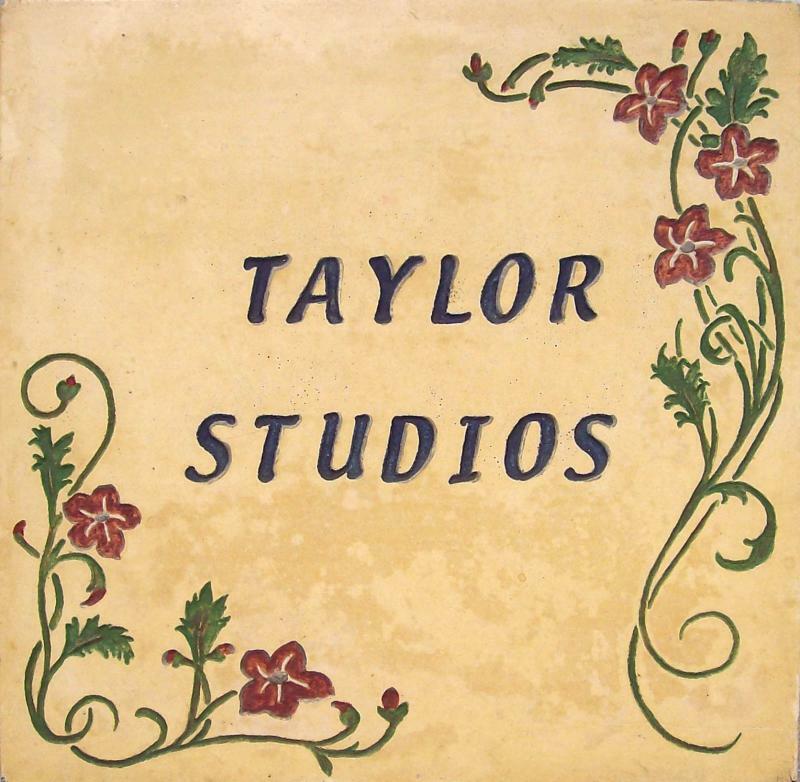 Our laminated concrete tile have a top layer that is colored and textured, and a backing that is the proper concrete mix for strength. 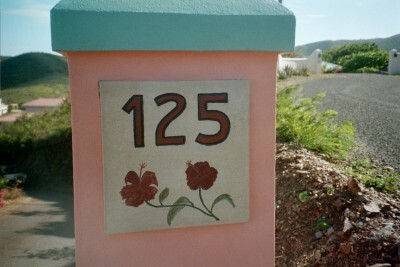 The topping thickness varies from 1/4" to 1/2" as the size of the tile demands; and this can be carved with your name, house number, business logo, or any design you wish. 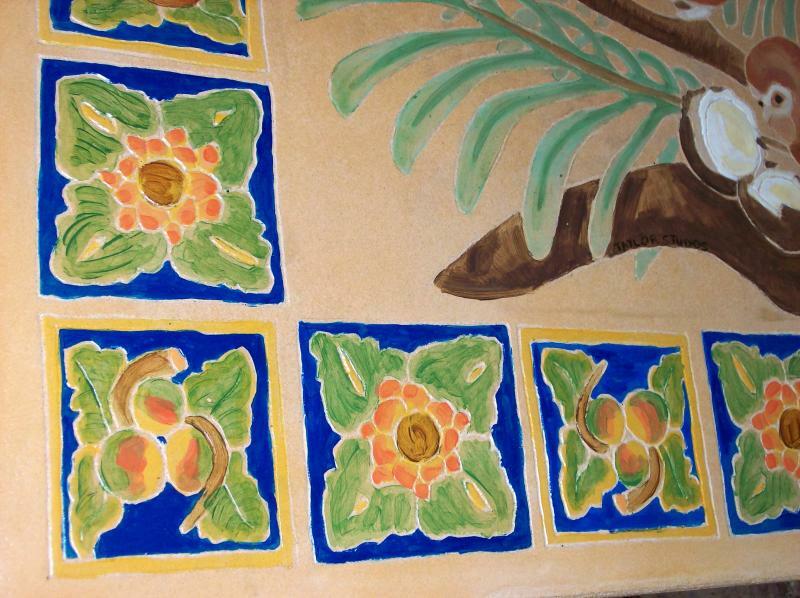 The carved areas are painted with durable epoxy paints that we mix ourselves and will remain colorful for years. 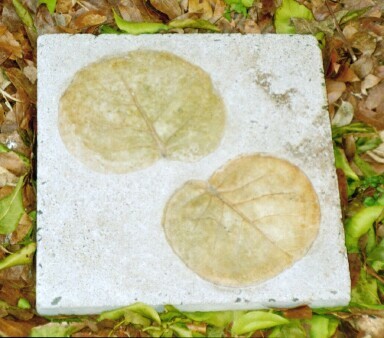 We have also made a mold for a grave marker, approx. 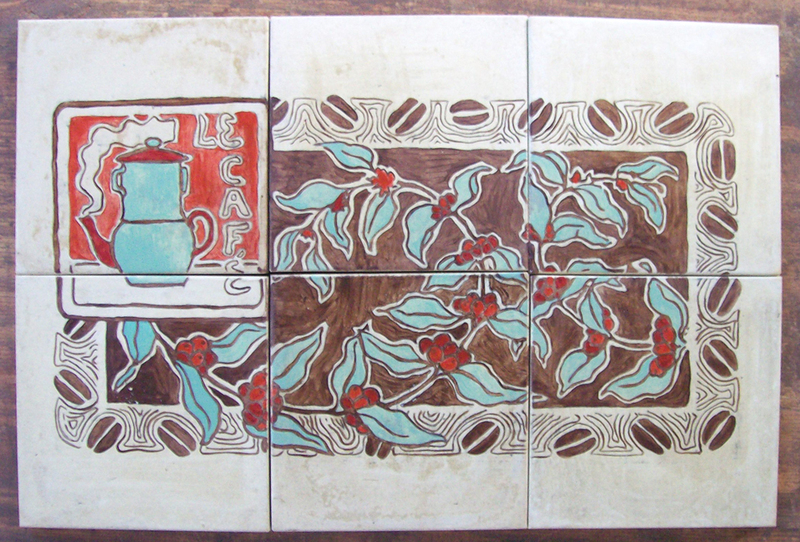 24" X 12" X10". 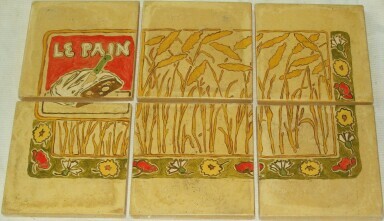 This can be inscribed with whatever names and decorations you choose. 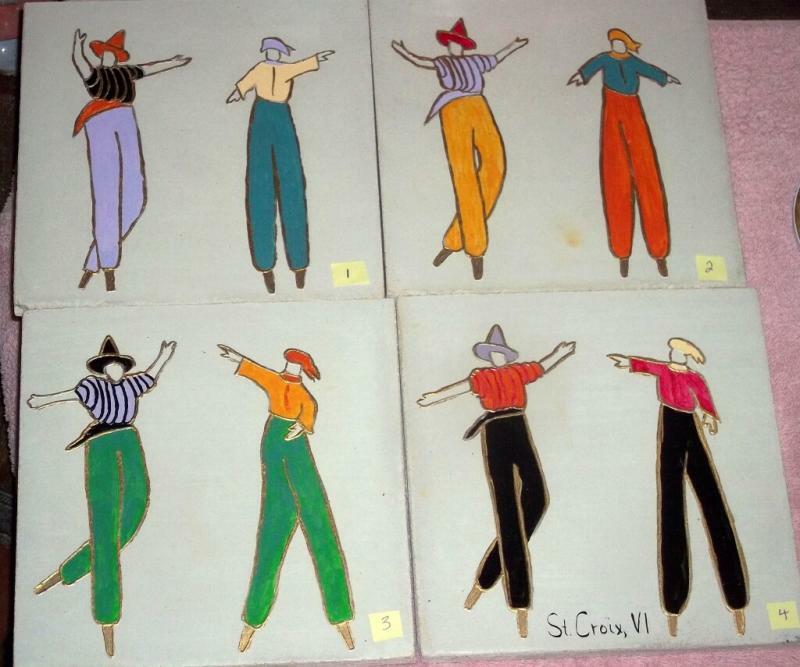 We have designed a series of four dancing mocko jumbie* figures on 8" by 8" tile that are embossed on the tile surface. 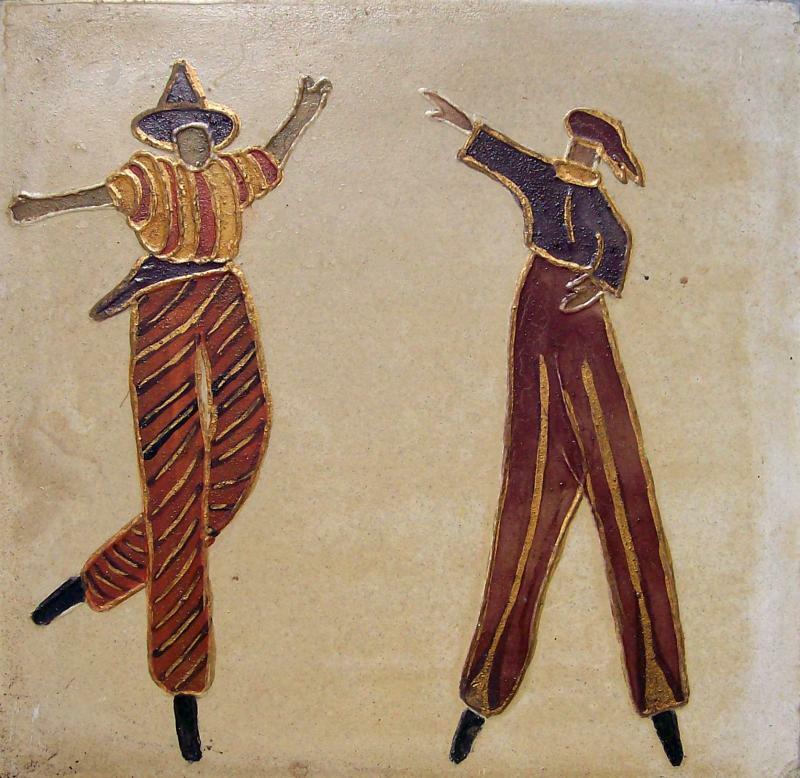 The body of the tile can be a complimentary color to your decor, and the dancers themselves are hand painted to match your pallet. 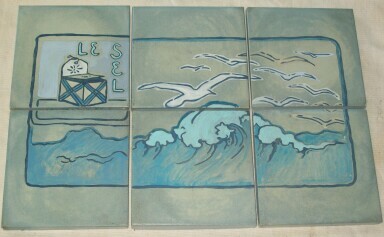 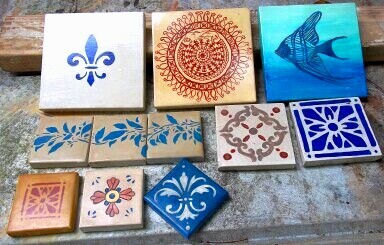 We are in the process of developing a number of hand painted 6 X 6 tile designs, which can be made to order. 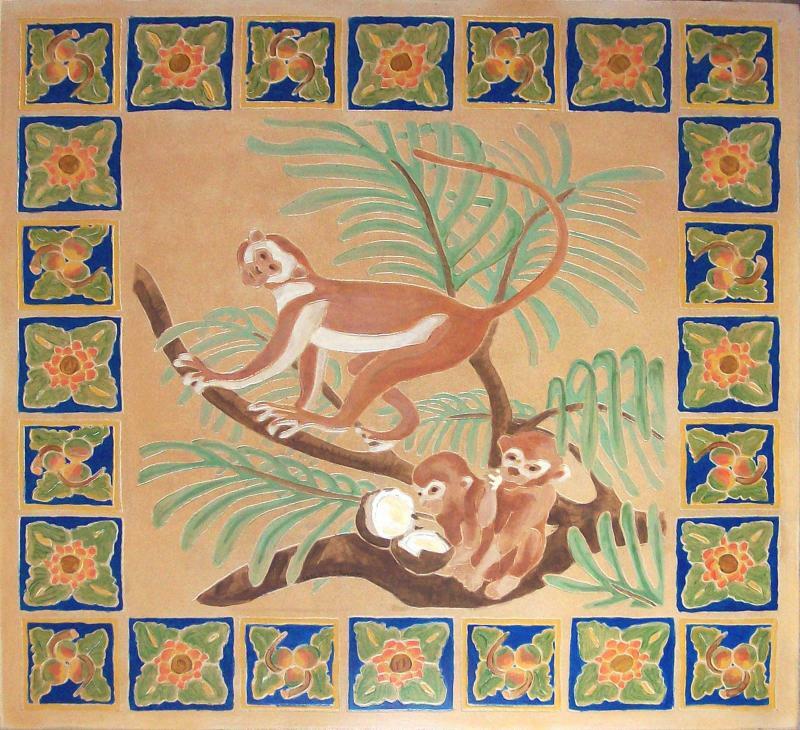 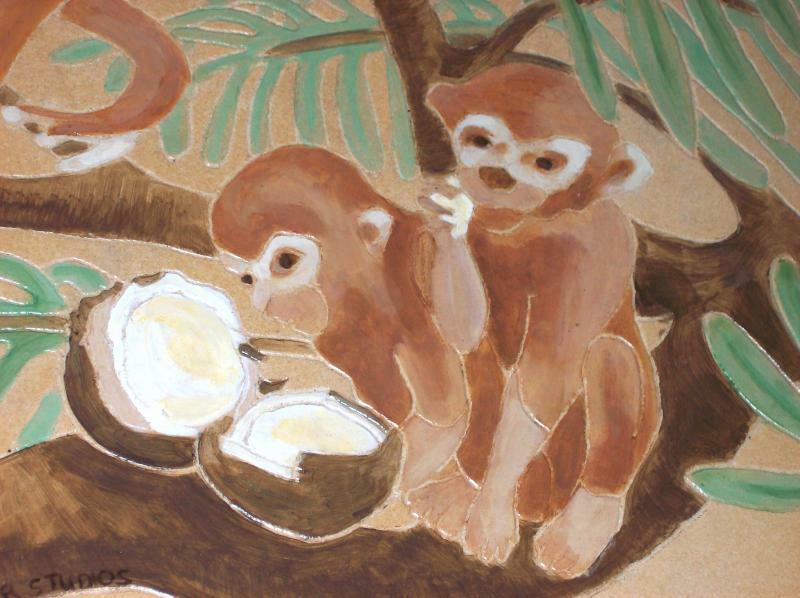 Monkey tile, 36"X36", designed and hand painted by Liza Taylor; used as medallion in center of patio floor area. 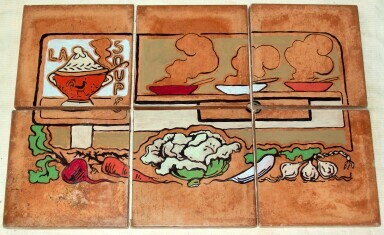 The border matches the ceramic tile used in an adjacent bar top. 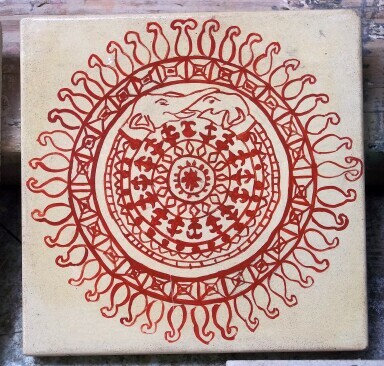 One painted Mocko Jumbie tile, 8"X8"
Hand carved & painted 18"x 18"